The chair is built with polycarbonate plastic that is especially durable and easy to clean. 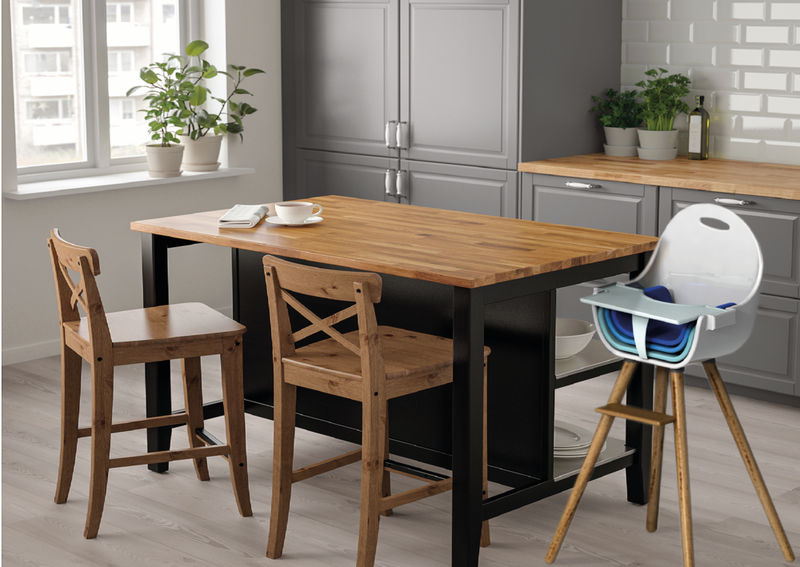 The removable table doubles as a safety strap which locks into place under the seat. The chair grows with the child. 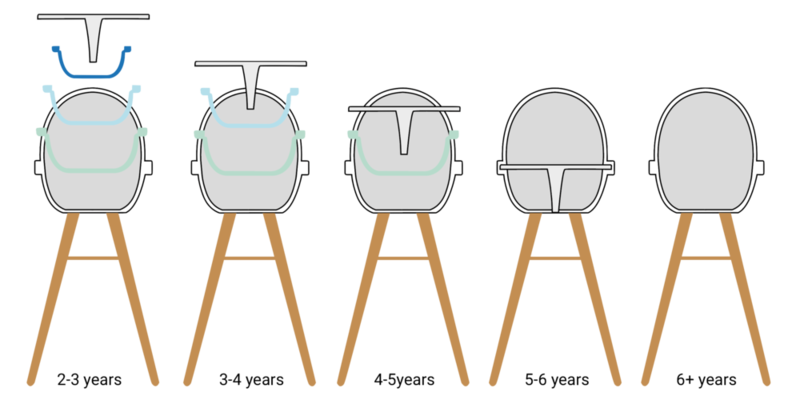 The three removable inserts and the removable tray, extend the chairs’ life cycle and is the only one that the family will need. KENDRICK, just turned 2 and wants to sit at the table with everyone else. likes knowing he has grown bigger than his friends. likes playing with his toys while eating. want a versatile, long lasting chair.